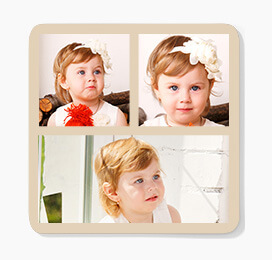 Sturdy yet gorgeous personalized photo coasters. 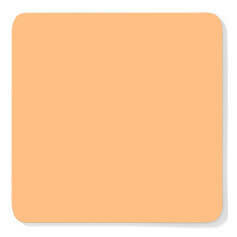 4 *4 round cornered and square shaped coasters offer maximum coverage. Buy individual coaster or a set customized to match your needs. Dedicated to your special moment. A set designed for your family. Don’t miss to include your grandparents. Designed to greet your special guests. When you plan to gift or have a party. Customize and personalize with your favorite picture. 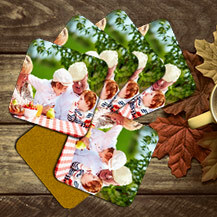 Two images vertically aligned to customize your coasters. How about designing for the entire family. Words come with an invincible power to express flawlessly. Do that with custom photo coasters. 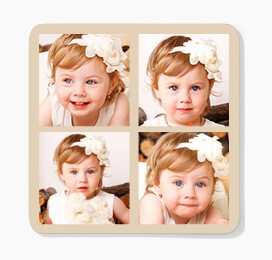 Scroll through our wide palette of colors and ensure that your personalized photo coaster matches your imagination. 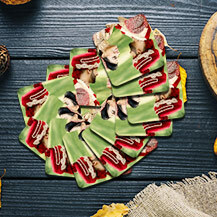 : Collect all your special moments and build a collage to adorn your custom photo coasters with a seamless blend of bliss. 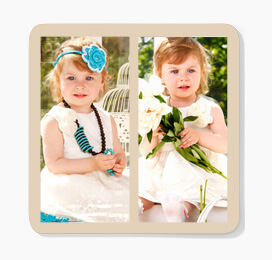 ORDER YOUR PHOTO COASTER TODAY! 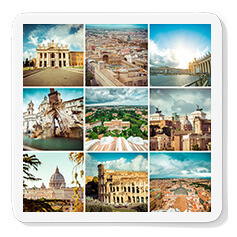 The custom photo coasters made at CanvasChamp are made using high-quality materials. The sturdy coasters come with anti-slip cork backing and measuring 4*4 in size and 1.25” thick, the square-shaped coasters come adorned with beauty and durability. 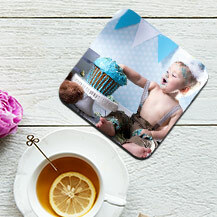 Scroll through the range of customizing options and let the creative you personalize your photo coasters flawlessly. Who doesn’t want their furniture to look classy? Who would mind to have something to keep the furniture protected against scratches? Well, everyone does. 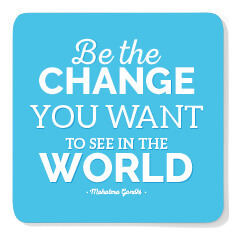 This is what makes our custom photo coasters stand amidst the most looked after personalized product. At CanvasChamp, we have a team of highly skilled and experienced artisans. 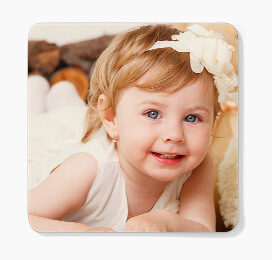 We use only the recommended raw materials and technology to build personalized photo coasters for you. Having said this, with us you can always stay assured to have the best quality at most affordable rates.